Battle Born Tree Service LLC., safely removes snow and ice so that you can travel with ease. Providing complete snow removal services such as snow plowing, hauling, shoveling, maintenance as well as clearing sidewalks driveways, salting, and removing ice. Equipped with state of the art commercial grade snow plows, pushers, front-end loaders, and skid steers. 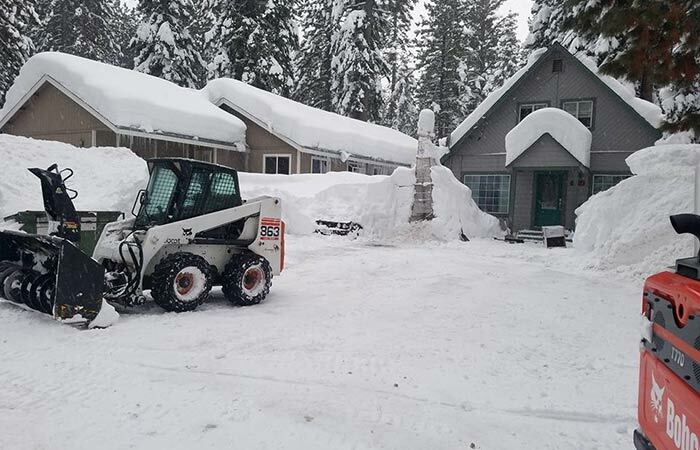 Battle Born Tree Service LLC., is available twenty-four hours a day to assist you in relocating and removing snow from your property whether you are located in the Carson Valley area or at Lake Tahoe. We provide snow removal services to both residential and commercial areas such as corporate offices, shopping centers, medical facilities, retail stores, and industrial properties. Our experienced team is available around the clock to assist you with all your winter service needs. Battle Born Tree Service LLC., employs seasoned staff members equipped with the right tools, materials and equipment for snow and ice removal. Available throughout the entire snow season, our services are competitive and reliable. We offer a custom flat rate to ongoing customers as well as hand shoveling services as needed. Call us now to find out more about our services and to plan your snow removal schedule.